If you keep up with marketing surveys on consumer trends, you’re probably aware of the term “experiential consumption.” By increasingly large margins, consumers are choosing to spend their money on experiences rather than mere products. Like so many market trends, experiential consumption is driven by Millennials and the generations just behind them (e.g., Generation Z). “Millennials crave experience,” say the authors of a survey by Eventbrite, which found more than 3 in 4 Millennials (78%) would choose to spend money on an experience or event over buying a desirable item. Delivering experiences would seem to favor the fitness industry. Over the last few years, health clubs have broadened their fitness programming by integrating gamification, high-adrenaline small group training, and other novel concepts to keep members engaged. Fitness programming is more creative than it’s ever been. Everything from drumming to twerking have been introduced into exercise classes. There’s truly something for everyone. But, still, it’s not enough. As other businesses are discovering, consumers are easily distracted and sometimes driven by contradictory impulses. While your members may crave experience, which is participatory in a gym setting, they’re also passively attached to their digital screens. And brand loyalty—much like attention spans—can be very short-lived. The “wow” factor. Fitness consultant Brent Darden believes that adding even just one or two new pieces of equipment with the latest advancements can create a “rejuvenation that produces a ‘wow’ factor.” You see it in the eyes of people who roam the floor of the annual IHRSA Trade Show. A machine that delivers a great experience can make your club a destination and a viral hit. The challenge for health clubs is to create a stimulating experience that’s interactive, authentic, cloud connected, and personalized. This is a tall order, but thankfully for the industry, major equipment companies are delivering. Today’s advanced cardio machines are technological marvels that go a long way to meet the demands of experiential consumption. Equipment that excites your members can be your most powerful retention tool. Here’s what to look for in these experiential cardio units. Cloud connectivity. Today’s top machines increasingly deliver on personalization through integration with third-party apps and wearables. Collecting and storing this data is a win-win for clubs: Members can pick up where they left off the next time they work out, and club operators have crucial information to help them deliver an even better experience for their customers. Entertainment options. State-of-the-art, high-resolution LCD screens on new cardio units allow consumers to stream services like Netflix and Hulu. This feature is especially appealing to younger demographics who don’t want to stare at mounted television screens set to programming they may not like. Virtual simulations. Some new cardio machines provide the ability to set virtual courses in exotic and faraway places. Want to bicycle down the Champs-Elysees or climb the stairs of an Aztec pyramid? You have that option with many of today’s top equipment. Group-training ready. With equipment increasingly integrated into small group training, cardio machines have to be responsive and intuitive, while allowing for enough programming options to fit today’s wide range of fitness styles. So what does a piece of equipment that delivers an experience look like? One leading industry player has taken the venerable stationary bike and created a truly revolutionary product that does just that. 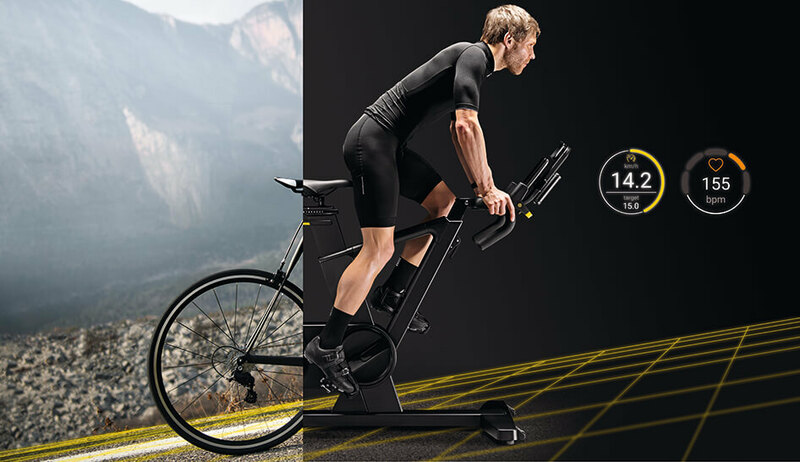 Created by Technogym, SKILLBIKE checks all the boxes of satisfying the demands of experiential consumption by bringing the outdoor cycling experience to your cardio floor in dramatic fashion. SKILLBIKE opens a new product category enabling cyclists, triathletes, and cycling enthusiasts to live the emotion and challenge of outdoor experiences in an indoor environment both at home and in fitness clubs. SKILLBIKE, together with the other SKILL LINE products, is part of a specific strategy to address the fast-growing trend of sport performance training both in mainstream health clubs and boutique studios. More specifically, SKILLBIKE is the one and only stationary bike that perfectly simulates road bikes. It opens a completely new market space for fitness clubs to attract new customers and to offer new programs with unique indoor training experiences (the cycling global market is expected to grow from $46 billion in 2016 to $67 billion in 2024). The product includes exclusive features specifically designed for athletic and performance training: It is the first indoor bike with real gear. The REAL GEAR SHIFT patent allows users to replicate the dynamics of hill riding. By shifting gears, riders can counter the change in resistance and maintain the correct power and cadence for the maximum efficiency, while the console displays the gear ratio selections in real time. To offer the same feeling of outdoor riding, SKILLBIKE’s RIDING DESIGN reproduces the biomechanics of outdoor bikes. The frame and handlebar are shaped to seamlessly accommodate different riding positions such as road, time trial, and mountain bike. At the heart of SKILLBIKE is the ingenious ROAD EFFECT system that simulates the feeling of riding outdoors by reading individual pedaling style and performance parameters. 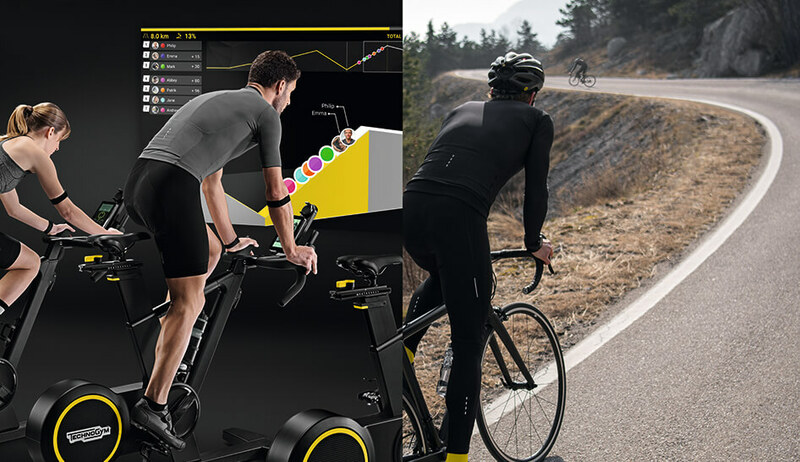 SKILLBIKE is a digital and fully interactive product: The integrated 7-inch color LCD connected console provides all of the relevant data of your performance with real-time feedback on cadence, watts, speed, distance, gradient, heart rate, selected gear, and gear ratio. SKILLBIKE also features a wide range of training programs, targeted routines, and routes to fit your goals and performance tests in order to evaluate your threshold power and choose the best training level for you. SKILLBIKE is integrated with STRAVA, GARMIN, and ZWIFT to keep you on track with your goals. For starters, it’s the first indoor bike with actual gear shifting. The patented REAL GEAR SHIFT on every SKILLBIKE replicates the feeling of hill riding and road racing with a console that displays gear ratio selections in real time. Riders will feel changes in resistance, which forces the rider to adjust power output and cadence in an intuitive way. The biomechanics of bike riding are something the body never forgets. Multidrive technology. This patent-pending feature allows riders to switch from power-based training routines to hill climbing simulations. This offers the same feel of outdoor riding, improves strength and endurance, and maximizes cardio output in a new and engaging way. Riding design. This patented feature replicates the functional structure of outdoor bikes. The frame and handlebar are shaped to seamlessly accommodate different riding positions, such as road, time trial, and mountain bike. Road effect system. This feature augments the Multidrive technology by reading your pedaling style and performance patterns. Pedal printing technology. To increase your efficiency, SKILLBIKE provides feedback on the circularity and symmetry of your pedaling while in different gears. Workout variety. SKILLBIKE also features a wide range of training programs, targeted routines, and entertaining routes to fit your goals and training level. State of the art connectivity. SKILLBIKE is a fully interactive product. The integrated 7-inch color LCD console provides performance data with real-time feedback on cadence, watts, speed, distance, gradient, heart rate, selected gear, and gear ratio. Group-training ready. SKILLBIKE is also ideal for small group training sessions on the gym floor or in a studio environment. With SKILLBIKE, trainers can offer two different yet equally engaging class experiences: race and performance. 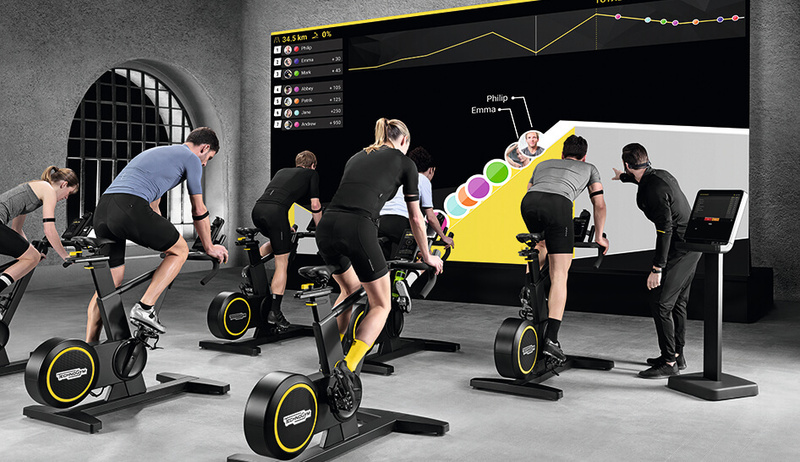 The SKILLBIKE professional app allows trainers to prepare the class in advance and enables seamless class management. Cardio machines like the SKILLBIKE make it easy for club operators to deliver an experience. Learn more about SKILLBIKE or request a quote or catalogue. To learn about other products and services from Technogym, visit their website and select your region.